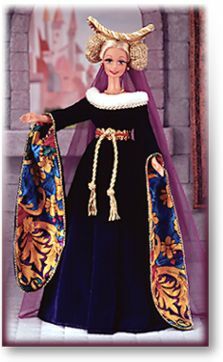 Barbie made her teenage debut in 1959...and is still growing strong. 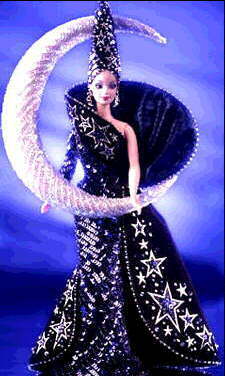 The first African-American Barbie was created 20 years later in 1979. 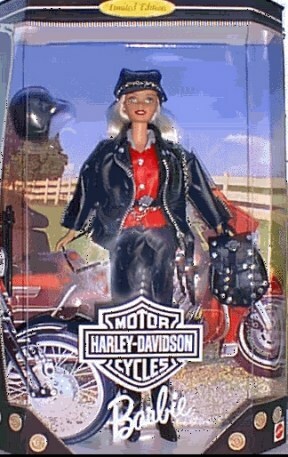 Many older Barbies are very hard to find these days. 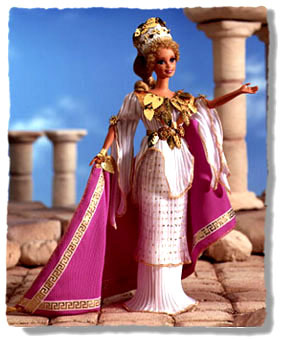 My interest in Barbies began in late 1997. 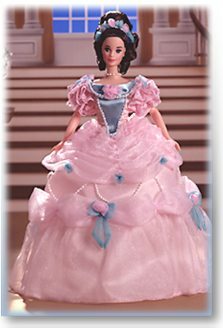 I presently sell select dolls to collectors and non-collectors (just plain doll lovers)..my inventory is currently one-of-a-kind and include Barbies of the Great Eras, Special Editions, Limited Editions, and Children's Editions. Many of these Barbies are new, but I also will be offering custom designed clothed (played with) Barbies in the near future. Sometimes I sell in online auctions. 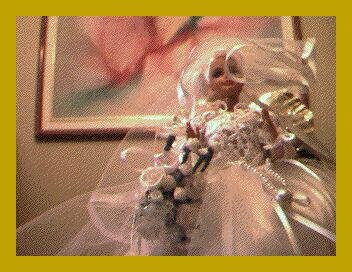 Pictured next is a HomeMade Custom-Designed Barbie Wedding Gown recently sold in one of my online auctions in Ebay. 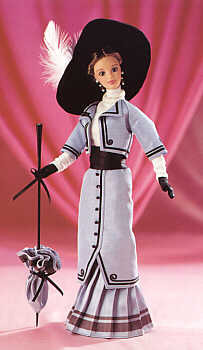 Enjoy looking at my gallery of Barbies Dolls below. Welcome/Bullets created by Dreamfires - Bar Buttons created by me. 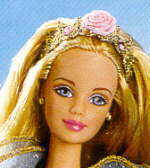 site is owned by Barbie Dolls Forever. 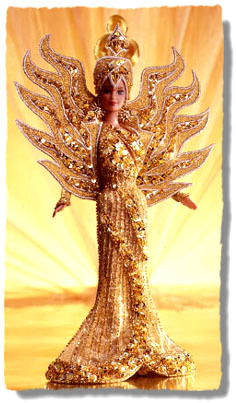 New Barbie Graphics Coming Soon! September 2003. Thank you.